This large contemporary sectional will add ample seating to your living space. Clean and simple lines give a refined style to this piece. 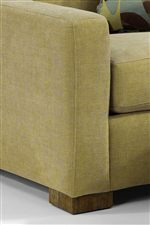 Modular pieces have plush cushioning for comfort and support. 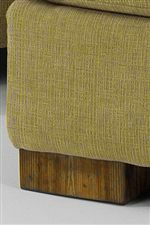 The exposed wooden legs come standard in an urban renewal finish and can be customized to match your choice of fabric. The Bryant Contemporary Sectional Sofa with 3 Modular Pieces by Flexsteel at AHFA in the area. Product availability may vary. Contact us for the most current availability on this product. 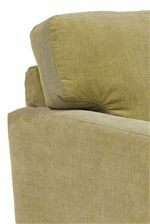 7399-26 Right Arm Chaise 1 34" 68" 35"